There are some really good Los Angeles Hotel Deals if you know where to look. They definitely exist! 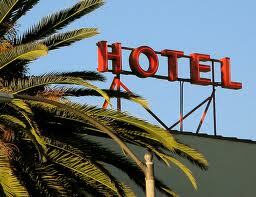 The Hotels you'll find in Los Angeles are anywhere from Suite Luxury Hotels to Cheap Budget Hotels. Some of the nicer hotels in LA have great restaurants, bars, roof tops, views, clubs and hold many events. There is pretty much a Hotel in LA for every budget. Below, I've made it easy for you to find LA Hotel Deals in the area you're looking for. The links on this page will take you to trip advisor which scans through all the major Hotel booking sites on the internet to find you the best deal possible. Find the best deal, compare prices, and read what other travelers have to say about hotels in Los Angeles. Reading the reviews is really important. You'll get insider tips from people who have actually stayed at these places. Just because the picture might look nice, doesn't mean it is. I would say that most people are pretty honest when it comes to writing reviews. You know what they say.......if somebody is happy with something, they'll tell two people but if somebody is unhappy with something, they will tell ten people! Below are the top rated hotels through trip advisor, but it's always a good idea to check them all out yourself. Once you click on one of these links, you'll end up on the trip advisor website where you call scroll around and check the best reviews, then compare the best prices.